Building Better Communities is a SC Non-Profit Organization that has been actively seeking ways to better communities across the state. Our first priority is bridging the gap between our communities and local law enforcement. As adults we understand how excited and emotional our teens are at this time. It is up to us to ensure that they are heard in a safe environment. BBC has teamed up with the Richland County Sheriff’s Department as well as the City of Columbia Police Department, the Mayor’s Office and several local organizations to help our teens be heard. 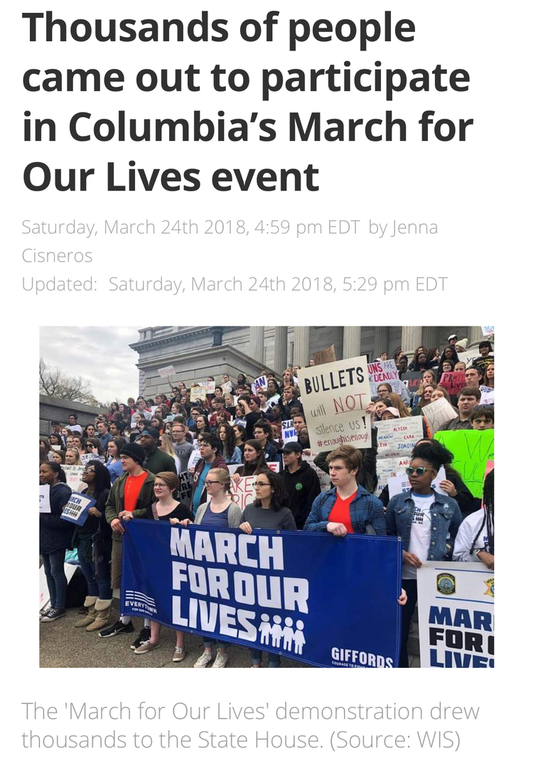 The 2nd Annual March For Our Live’s Rally Columbia will be held at the SC State House on March 23, 2019 at 9AM. There will be a march to the State House prior to the start of the rally. A staging point will be released Thursday, March 7, 2019. Anyone that wishes to participate, please contact Building Better Communities at 803-908-7775. 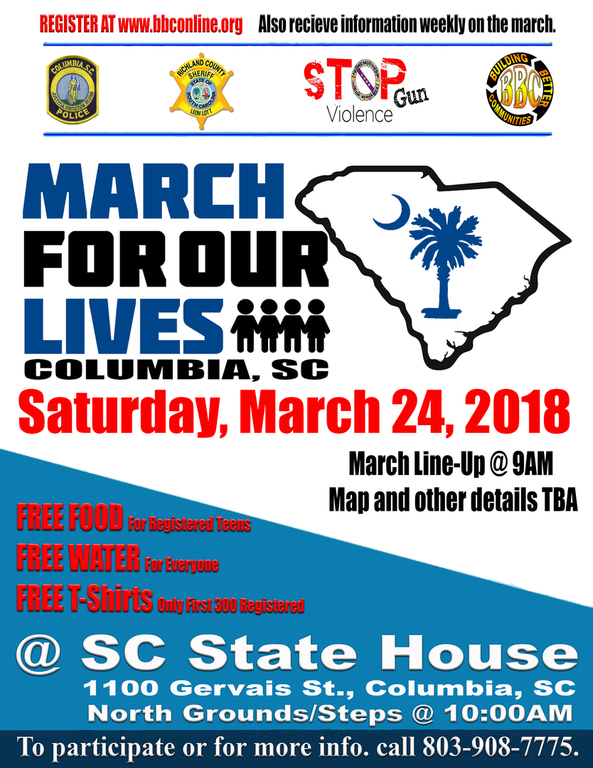 There will be a Press Release to discuss all of the details on Thursday, February 14, 2019 at 10:00AM at the SC State House, Columbia, SC. Its the students that will make this event a memorable one. We have student groups from USC, Benedict College, Allen University, Clemson University, AC Flora H.S., Dreher H.S., Eau Claire H.S., Columbia H.S. and more to come. Join us to become part of history in the making.